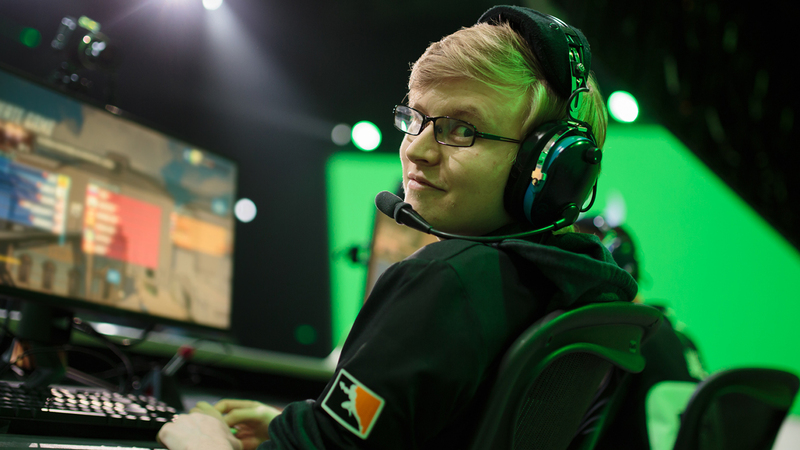 Jiri “LiNkzr” Masalin of the Houston Outlaws is one of the fiercest competitors in the Overwatch League. Week after week, we watch his hands wash over his peripherals like gentle waves on the shoreline, each movement reflecting both his skills and his personality. We know LiNkzr as a player and a competitor—but who is he, and what drives him to become the best. LiNkzr’s start in gaming came at an early age. Whether it was StarCraft II, Crash Team Racing, or World of Warcraft, he and his group of childhood friends bonded over games. With his history in other FPS (first-person shooter) as well as MOBA (multiplayer online battle arena) titles, LiNkzr was well-versed in the discipline of the mouse and keyboard. And even at a young age, he had a competitive fire in him, a desire to test himself against his peers. It didn’t matter what the challenge was, LiNkzr was all in. Being able to hone his skills was the fuel for his fire, and it’s likely what carried him this far into a young, but incredibly promising, career as one of the Overwatch League’s top Western talents. While striving for greatness, LiNkzr has maintained a high stature in the Overwatch community, representing his home country of Finland in the 2016 and 2017 Overwatch World Cups and clinching an amazing victory in Overwatch Contenders Season 1: Europe with Team Gigantti. Playing on a stage like that of the Overwatch League, which is watched by millions of people each week, must mean something to him. “When I was playing other games in the past, I never got to compete at that same level as I am now with Overwatch, so it was definitely more like a pipe dream, where I really wanted it, but realistically knew it would be hard to achieve,” LiNkzr said. Esports seems like every teenage gamer's dream—being able to play video games for a living, what could be better? What many people don't realize is that this is a job, albeit one that relies solely on a player's skill. And in this case, maintaining the highest skill level possible comes with a 50- to 60-hour work week. But no matter the sacrifice LiNkzr must make, whether it’s leaving home or training every day until long after the sun has gone down, it’s all worthwhile. The climb to the top doesn’t look so steep if you enjoy climbing, and in his journey to the summit, LiNkzr has encountered many different types of games. Overwatch, however, is harder to classify. At the end of Stage 1 of the Overwatch League, Houston was in a respectable third place in the standings. They had started the season with two losses, but rebounded with a 5-0 run, which included an 18-map win streak. During their final match of the stage, the Outlaws faced the Boston Uprising for the final seed of the Stage 1 Finals. After going down to the wire in a deciding fifth map, Houston clinched the last spot in the playoffs, giving the team “the biggest relief and adrenaline rush” they’d ever experienced, according to LiNkzr. 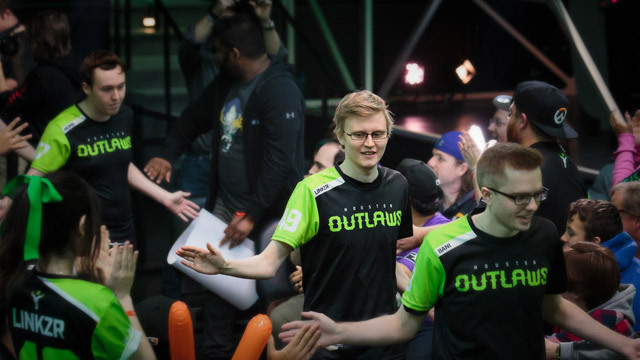 Stage 1 was a learning experience for both LiNkzr and the Outlaws. If Houston is going to win, it will not be on the backs of individuals, but on the team. And they’ve shown time and again that a team mentality leads to success. That ethos, plus the marriage of personality and skill on the team, brings swaths of fans out each day Houston has a match, both in person and online. With Stage 2 heading into its home stretch, LiNkzr has his sights set on making a long-term impact. The competitive drive LiNkzr had when he was a child is evergreen. It’s the same attitude that has gotten him to this point, and it’s the same attitude that will push him past those limits in the future. Follow LiNkzr on Twitter and Twitch, and keep up with the Houston Outlaws on Twitter, Instagram, YouTube, and Discord.